​It looks like playing for the ​Oakland Raiders is truly a nightmare. Either that, or QB Derek Carr just really hated London. Regardless, things are NOT going well for the Raiders after their blowout loss to the Seattle Seahawks on Sunday, and it's taking a toll on Carr. 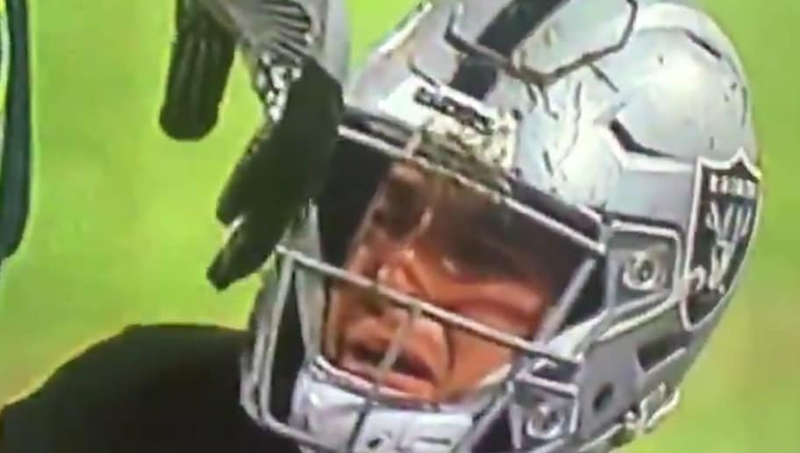 ​​Carr injured his arm on the play and it looks like he was literally crying. Honestly, who can blame him? Only two seasons ago this team had high hopes and a dominant offense. Now, the Raiders can barely score points and Jon Gruden is trying to ​ship the entire team away. We feel you, Derek. The pain is real.